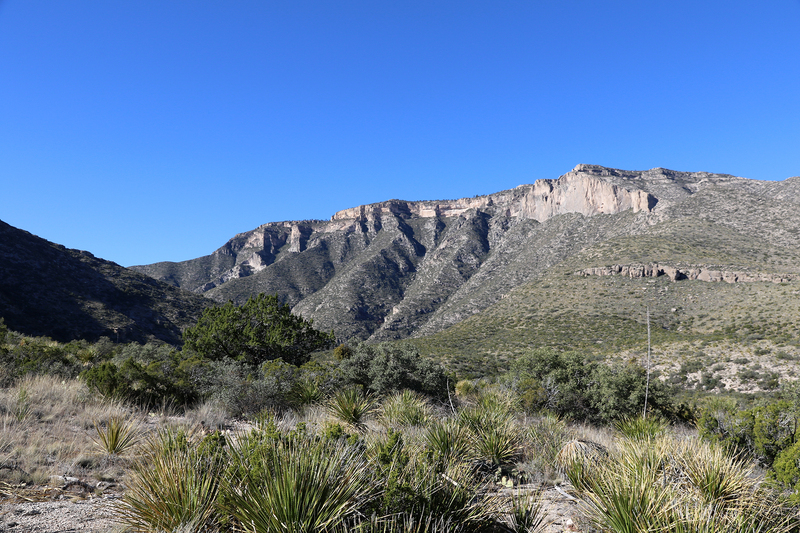 Thursday, November 15 was our day of transition from Guadalupe Mountains National Park to Carlsbad Caverns National Park. With the backpacking trip as part one, car camping with Phil, Adam, and Sylvan as part two, we were now going to embark on part three and be joined by John, Catherine, and Mariana down from Chicago. But we wouldn’t be checking into our AirB&B in Carlsbad, New Mexico until the evening, so we still had much of the day to see a few more wonders in the Guadalupe Mountains. 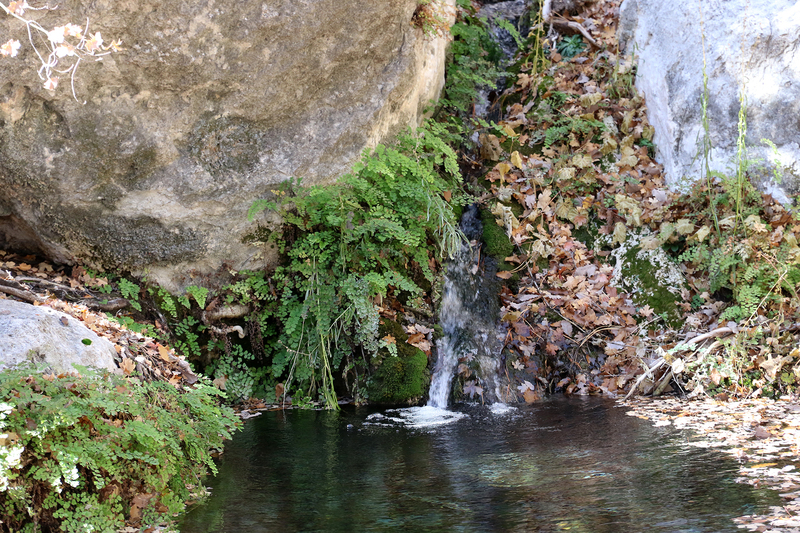 This entry was posted in Journey and tagged Camping, Day Hike, Guadalupe Mountains, Texas on February 25, 2019 by Brandon Hayes. Devil’s Hall is a short, narrow chasm a few miles up Pine Canyon from its wide mouth. 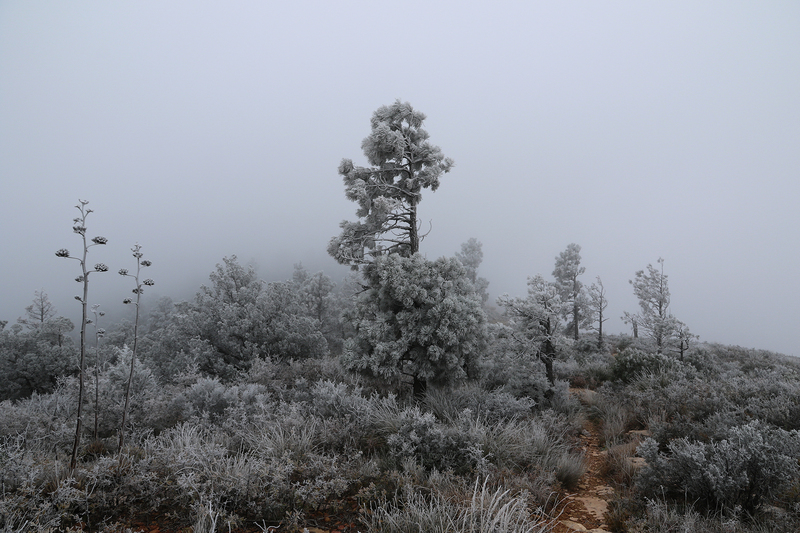 It is accessible via a two-miles-and-change hike from the Pine Springs Trailhead. 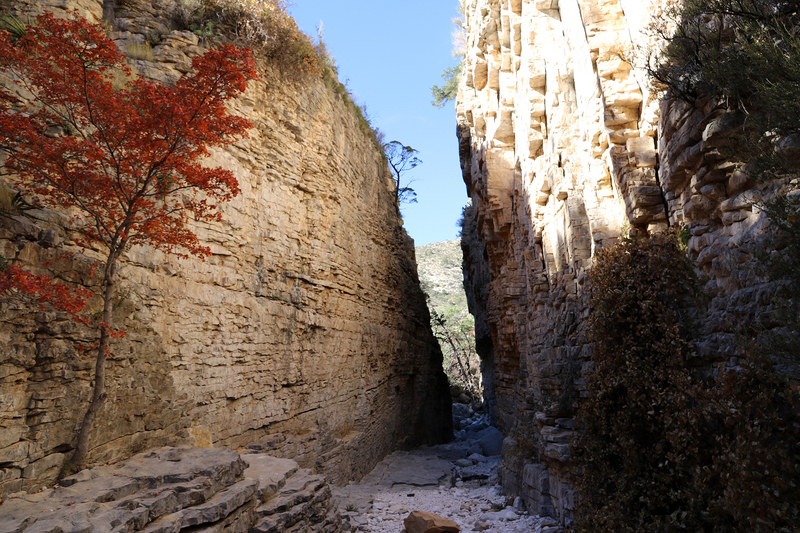 After the crazy events of the previous night and morning, our afternoon’s adventure on Wednesday, November 14 was a hike up to Guadalupe Mountains National Park’s only accessible slot canyon of note. 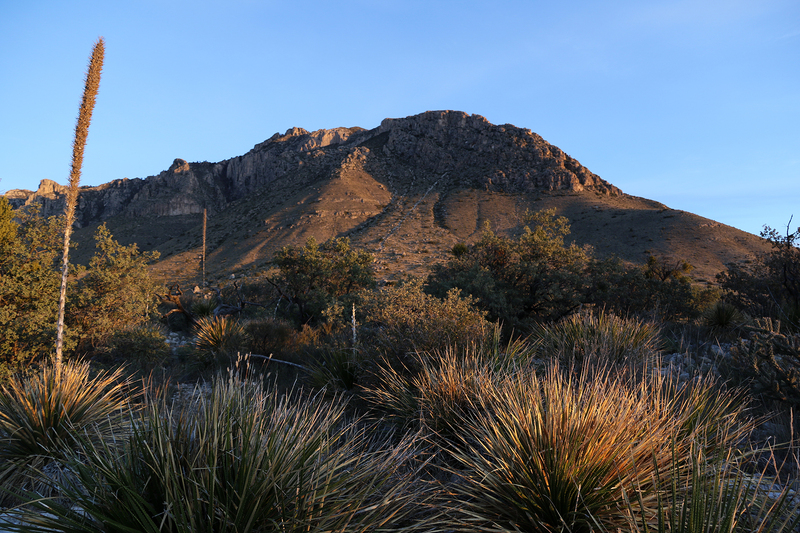 This entry was posted in Journey and tagged Camping, Day Hike, Guadalupe Mountains, Texas on February 13, 2019 by Brandon Hayes. Before dawn on Wednesday, November 14, Sean nudged me awake. We were curled up in a nest of pillows and comforters left behind by Adam, Phil, and Sylvan who, not keen on another night of freezing temperatures, had decamped to a nearby hotel. “Nearby” is relative here. Adam had texted Sean the night before that there were no available rooms in Carlsbad, New Mexico an hour away so they’d continued on and found “the last available room” in Artesia, New Mexico an hour and a half away. Lying there in the blankets, Sean nudged me and handed me his phone. It took me a moment to understand what I was seeing in the texts from Adam. Around midnight, a truck had driven through the wall of their hotel room. 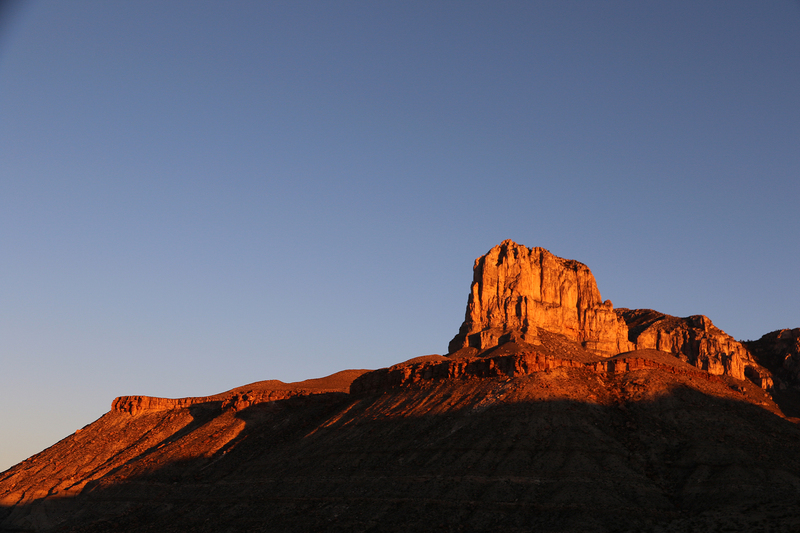 This entry was posted in Journey and tagged Camping, Guadalupe Mountains, Texas on February 8, 2019 by Brandon Hayes. After lunch on Tuesday, November 13, Phil climbed into the tent with Sylvan for the little guy’s nap. Meanwhile Sean, Adam, and I decided to get in a second short hike for the day, this time one a bit more ambitious than our walk through the foothills with the baby that morning. 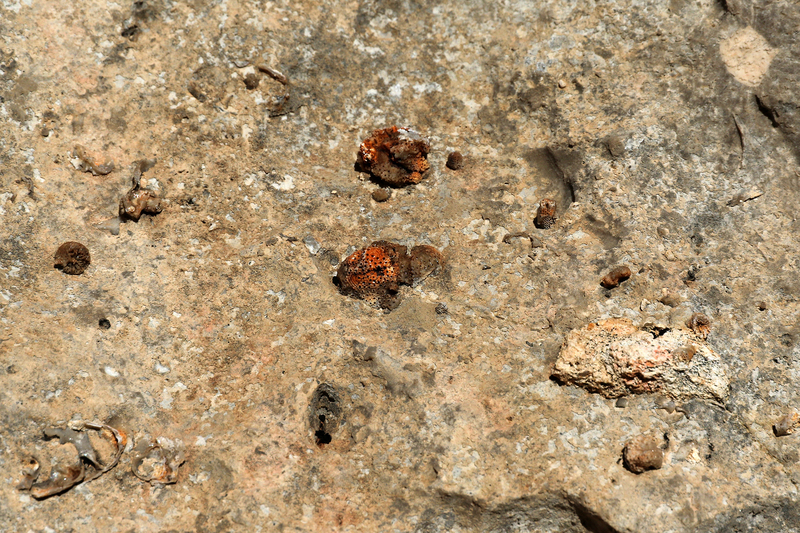 We chose to check out at least part of the Permian Reef Geology Trail near the entrance to McKittrick Canyon. The entire trail is a 4.2-mile out-and-back 2,000 feet up onto Wilderness Ridge near the Texas-New Mexico state line. We wouldn’t be able to do the entire trail, but we figured it would be worth it to see some of it. We were particularly keen to see fossils. 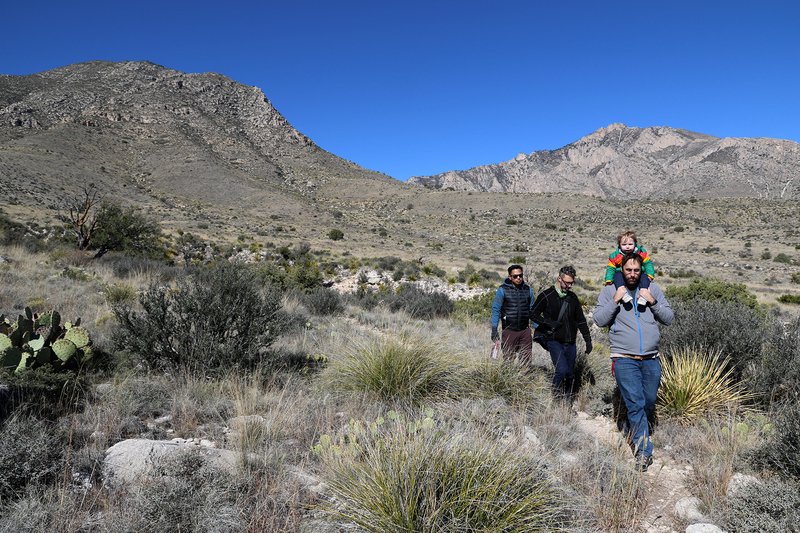 This entry was posted in Journey and tagged Camping, Day Hike, Guadalupe Mountains, Texas on February 3, 2019 by Brandon Hayes. The morning of November 13 was cloudless and cold. The pre-dawn low temperature was eighteen degrees, which would have been a camping record for Sean and me had we not beaten it by at least ten degrees the previous morning up in the mountains. Nevertheless, we anticipated a day of adventure with Adam and Phil, and particularly Sylvan, who would go on his very first hike in a National Park. 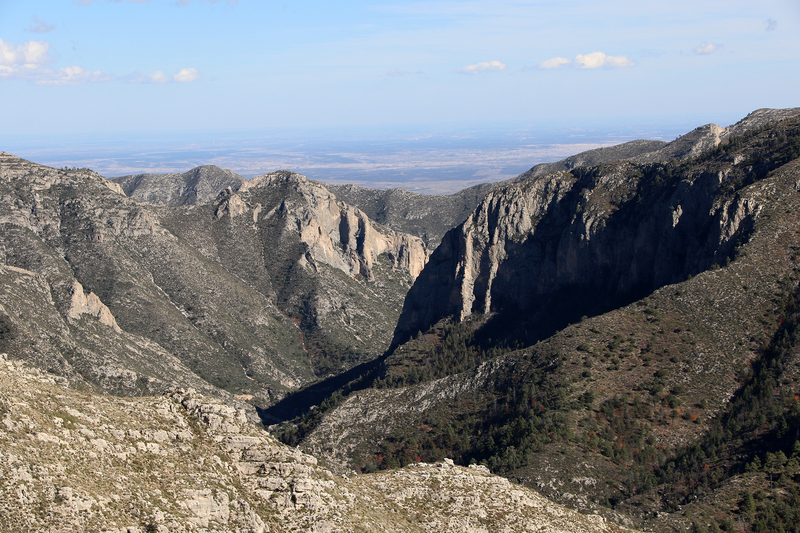 This entry was posted in Journey and tagged Camping, Day Hike, Guadalupe Mountains, Texas on January 25, 2019 by Brandon Hayes. The morning of my fortieth birthday, November 12, 2018, dawned cold. Very cold. Single-digit cold. Sean’s and my plan was to complete our third and final day in the backcountry with a 7.6-mile hike down from McKittrick Ridge into McKittrick Canyon and then out to the trailhead at the McKittrick Canyon Contact Station, where Adam, Phil, and Sylvan would pick us up. This entry was posted in Journey and tagged Backpacking, Camping, Guadalupe Mountains, New Mexico, Texas on January 14, 2019 by Brandon Hayes. 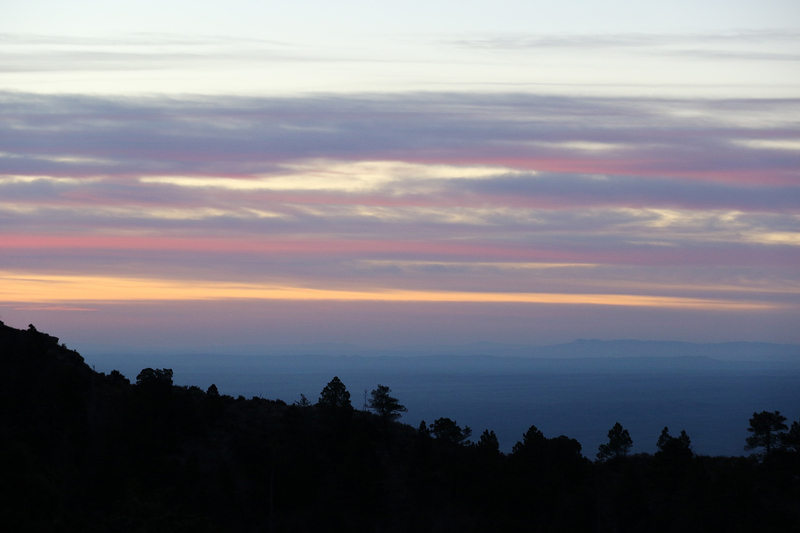 Next morning, Sunday, November 11, I woke in our tent at Pine Top before sunrise. Sean and I had a full day of hiking ahead of us, some 7.8 backcountry miles to the primitive campground on McKittrick Ridge up closer to the Park’s northern boundary and the state line. My phone was dead, but it must have been a little after six by the light. Sean was sleeping, so I climbed carefully out of the tent and pulled on my boots. I nearly yelped in pain as the boot slid into place on my right foot. The blister that had developed on the previous day’s climb into the mountains was no joke. Once outside, though, I gave the pain no heed. I peed downslope from our site and then settled into my backpacking chair to watch the pre-sunrise light change and grow on the low country below. This entry was posted in Journey and tagged Backpacking, Camping, Guadalupe Mountains, Texas on December 30, 2018 by Brandon Hayes.